If you haven’t, however, then allow me to introduce you to your new favorite (hopefully) gel eyeliner. During my LBB years (aka Life Before Blacktrack), every liner I’d try would slip right off my oily skin. Blacktrack changed everything. True story: I was wearing it when I watched The Notebook for the first time, and by the end of the movie my liner was still going strong. ‘Nuff said. Its deep matte black glides on and offers major flexibility. I like to use it along my lash lines for crisp cat eye looks or smudged out for softer, subtler effects. I think it’s also fantastic for lining waterlines (both upper and lower) or for creating really dark smokey eyes with plenty of depth, where I’ll use it as a long-wearing eyeshadow base. Start by lining the waterline (both upper and lower) with Blacktrack and Sonia Kashuk’s Bent Eyeliner Brush. 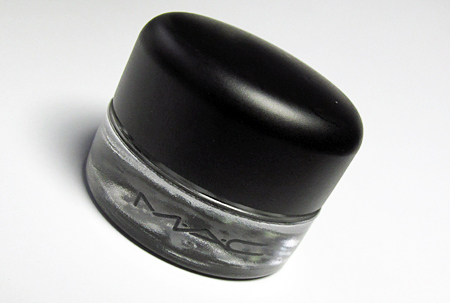 Next, pack some Blacktrack onto the lid with a MAC 239 Eye Shader Brush, blending away any harsh lines with your fingers. 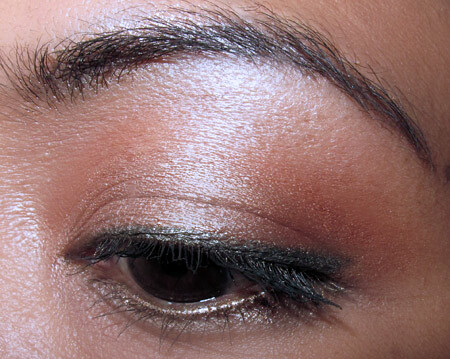 With the same 239, pat a shimmery gold or shimmery teal directly on top of Blacktrack; draw the color up into the crease, and sweep along the lower lash line. Finish by curling your lashes and adding lots of mascara. And try not to be intimidated by the pot (heh, I said “pot”). I’m the biggest klutz in Makeup Land, and even I managed to make it work. Before long it was as easy to use as a pencil liner (well, almost). Just make sure you have a good brush for detail work, and by good I mean one you’re comfortable using. Sonia Kashuk’s Bent Eyeliner Brush ($6), Laura Mercier’s Flat Eye Liner Brush ($25) and the MAC 209 Eye Liner Brush ($17.50) are a few to try. 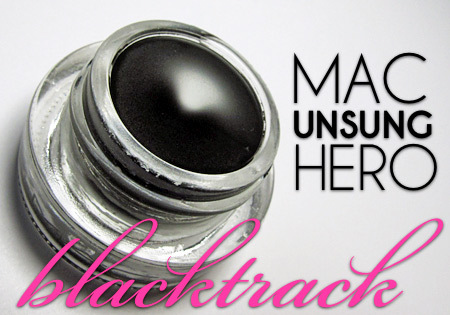 Have you taken MAC Blacktrack for a spin? How’d it go? Next Post: Can You Name These MAC Lipglasses? Using it as an eyeshadow base is a great idea! I just got into doing that with a shu uemura gel liner that I got and it really takes a smokey eye to the next level! .-= knownever’s last blog post… Juicyâ€™s Luxury Dust-Cloud =-. .-= Kelly’s last blog post… Nicole by OPI Spring 2010 Nail Polish Swatches & Review =-. I like Blacktrack. It is easy to work with plus it stays on for a long time. But I heard that BB liner is better. Hard to tell because I don’t have it. I like both the Bobbi Brown and the Mac, but I think the Mac tends to last longer without smudging on me. The Mac also goes on much more smoothly. Like kelly, I have both the MAC & BB gel liners and for me they both work great. But the MAC one did dry up quicker than my BB liner. 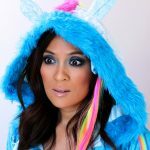 .-= Arianne’s last blog post… Fighting a Makeup Rut EOTD: Iâ€™ve Got the Blues. =-. Ooooh, that’s a great idea! I’m going to try that today. I LOVE Blacktrack, I have had this since Christmas 08 and have used it almost every day since, and I still haven’t finished the jar! I agree, this really is waterproof, I have horrible allergies and I have cried, rubbed, slept…you name it, and this liner didn’t budge. This is my holygrail eyeliner! .-= Princesa Livia’s last blog post… Blog Sale~!!! Please Buy My Stuff! â™¥ =-. i love blacktrack, however my latest pot is only half empty and dry enough that it’s starting to skip…this isn’t the liner’s fault..ahem someone “borrowed” it from me and left it uncapped for up to 2 days. since i didn’t want to buy a brand new one already, i just purchased Wet N Wild Creme liner. It’s blacker than blacktrack, and way more budge proof. however it has one drawback, the for some reason the formula is kind of hard to build upon if you want to thicken your line. there is also no room for error b/c its super hard to remove. so…i still prefer blacktrack overall but it’s a nice cheap alternative. I haven’t tried blacktrack. I have used Bobbi Brown’s gel liners, but I usually prefer the quickness and ease of using a pencil. I got one of them eye kits in MAC’s Christmas collection (for some reason, I’m completely blanking on its name) and it had a small pot of Blacktrack. Actually, it might have been full size … I just have no basis for comparison at the moment. I don’t use Mac Blacktrack Fluidline but I do use cream eyeliners. I love how precise & neat my lines look when I use an old liquid liner applicator! Of course I wash it but I can’t stand buying a $10-20+ eyeliner brush when an old liquid eyeliner brush works even better! I’ve even tried EcoTools angled eyeliner brush but it gives me too thick of lines. I’ve been using the BB gel liner for years. How does it compare to that? Do you think Mac’s staying power is longer and smudge factor less? Hi, El! I’ve tried BB’s and I prefer this one. I think it stays on longer and reads as a darker black. ah, for me its all about the Smudge Pot. does that mean we can’t be friends? I like MAC’s fluidline but you should try Clinique’s cream eye liner. It’s much darker/blacker than fluidline and stays on even better! .-= el’s last blog post… Thought of the day =-. Hmm. I wore top liner for the first time for Valentine’s Day when the Shu Uemura MA put it on me along with the lashes I bought. I never wore top liner before since my lids are unevenly creased and I could never get it to look even, but now I’m thinking I should really learn how to do it! Would you recommend Blacktrack for a liner n00b? Also… would you possibly have a felt tip pen recommendation? Those just look easier to work with. I have pretty oily lids to the point that even with UDPP + Painterly the UD 24/7s and every other liner I’ve tried still smudge a tad on my lower lashline. Thanks! Yes, I think it’s great for liner newbies! It’ll take a few days of practice, but once you get it down you’ll be able to do it really fast. I’ve been using a teeny tiny paintbrush from the art store with my gel liner for years, because I found that none of the liner brushes sold in stores could give me a thin enough line. Plus it was $1 and hella good quality! haha it’s funny, i just purchased it today! can’t wait to try it. but i want to purchase another brand, any recommendations? i think i might try shu uemura or bobbi brown, do you own either? I’ve tried those and my favorite out of three is Blacktrack! mine always fades slightly :S because of my oily eyelids :(.. does anyone know what i can do about this? 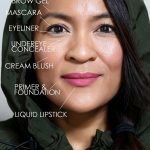 Do you use a primer beforehand? If your lids are super oily it might help to pop some Too Faced Shadow Insurance on your lids first. I haven’t tried MAC’s gel eyeliner, but I am absolutely in LOVE with bobbi browns eyeliner..So.. i don’t think ill be trying MAC’s anytime soon! I haven’t tried blacktrack, but I have 2 of the other colors. 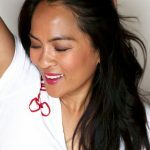 I really wanna try your 5-min makeup tip – it sounds awesome! This would be great for a smokey eye look! Is it blasphemy to say that I don’t own blacktrack?!?! haha I have macroviolet and I LOVE that color. I also have leathertte from Buxom (Bare Escentuals). Sigh, I must get my grubby hands on blacktrack! It’s been a while since I used Blacktrack. I ran out and I didn’t repurchase. I bought Shu Uemura’s Painting Liner in Black instead; I find this stayed on longer than Blacktrack, IMO. 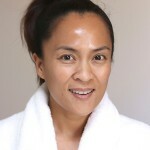 .-= Connie’s last blog post… Review: The Body Shop Honey & Oat 3-in-1 Scrub Mask =-. LOVE Blacktrack! Still on my first jar from like 3 years ago. Oops. Probably should throw it out but I just can’t find it in my heart to do so when there’s still so much product in there! Haven’t tried it on my waterline but it definitely doesn’t budge on my lashline. Everything else smudges like crazy! Maybe blacktrack won’t, hmmm. I’ve been trying to find a true blue with Blacktrack’s richness and depth but I just haven’t had much luck. BB’s have too much shimmer and the MAC blue is really not pigmented! Any suggestions? Funny, I’m looking for one too. I have Lancome’s Declaring Indigo from a while back but it’s pretty shimmery… I want both a matte navy and a matte true blue. If I find something I’ll holla at you! I LOVE Blacktrack. I’ve had it for quite some time… and its fab. But… my comment is not about blacktrack. It’s about me saying Thank you! I had my FIRST official makeup session today. My friend Sara asked me to do her makeup FOR HER WEDDING!!!!! So we had a try-out today. I was nervous but after carefully studying your site, your FOTDs, after dreaming about makeup and beauty blog, I felt ready… and SHE LOVED IT!!!! Saturday is the wedding! .-= Jen ‘s last blog post… The post where we show you what we look likeâ€¦ =-. That’s so exciting! Did you take any pics? I’d love to see one! .-= Jen’s last blog post… The post where we show you what we look likeâ€¦ =-. Yay! Can’t wait to see ’em. 🙂 Congrats again on your “gig,” and the fact that you get to work on your friend makes it all the more special. I adore MAC’s blacktrack! I’m not sure how I even did my eye liner before it. I do a winged line every day and love it!!!! Isn’t it fab? What brush do you like to use for your winged look? I used this baby today. Love it. It’s the first gel liner I ever tried & been a fan ever since. 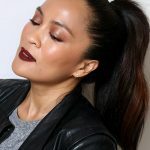 I actually have 3 black gel liners – MAC, BB & MUFE and i like them all. Funny, I have three pots of Blacktrack. I honestly don’t know how that happened, either. One morning I looked and BAM! — there were three of ’em. Have you experienced that they tend to dry up? It happened with the first one that I ever bought. I used Fix+ to revive it a couple of times. A little bit, but not as much as the Paint Pots. I keep mine tightly stored in a cool, dark place, and I store them upside down. I dunno if that makes a difference, but I think it helps! This is my HG liner…can’t live without it! .-= Kajal Couture’s last blog post… My Newest Blogging Adventure – Maharani Weddings =-. <3 blacktrack! i use it almost EVERY day….it's the only thing that stays on my waterline, too. i had a black smudge pot from the holiday set and gave it to my mom because i can't bear to line with anything but blacktrack. I love Blacktrack and I used it almost everyday when I first got it. It also makes a great base! However, I usually use it only for the upper lash line because somehow I just can’t put on Fluidline on my lower lash line and waterline properly. What brush are you using? I find that a flat, rectangular brush works really well for the lower lash line and waterline. i used to use shu uemura painting liner but converted to blacktrack immediately after the first time i tried it. it always goes on smoothly and evenly and lasts forever. it is the :only: black liner i use on my upper lashline, and it works well for tightlining and the waterline, too, and is a fantastic e/s base. I do actually use it as an eyeshadow base …. its very versatile!!! Plus the lasting power as a liner is just fantastic!!! I love love loove Blacktrack. I have the same problem as you Karen, any other eyeliner I use fades away by the end of the day, so i just can’t get enough of this stuff!, definitely one of my faves. 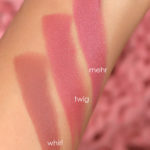 .-= Aniela’s last blog post… MAC Viva Glam Lipstick: Lady GaGa =-. I also love love love Blacktrack. Before Blacktrack, I used Bobbi Brown’s Gel liner, which I also love but tried Mac’s because it was cheaper. I got my friend to try it too! My brush of choice is also the MAC 209. LOVE it!!! I haven’t tried it! 🙂 Can you use it on your waterline? I just bought the Sonia Kashuk bent eyeliner brush yesterday per your recommendation 🙂 Tried it out this morning. 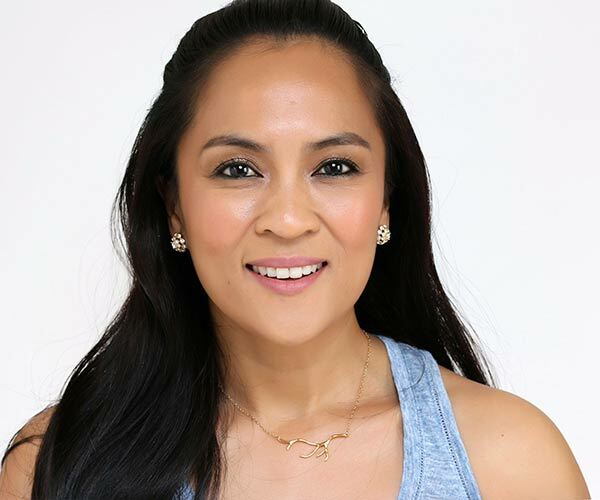 I use it with the Buxom lashliner — love it! I think it’ time for me to try it, I’ve always heard good things about it. Besides my powder eyeliner (I use a damp brush to apply it) flakes or smudges off sometimes and it just looks messy! I’ll definitely get blacktrack soon…or a dark brown or dark gray color…someting not as drammatic…any recommendations ? 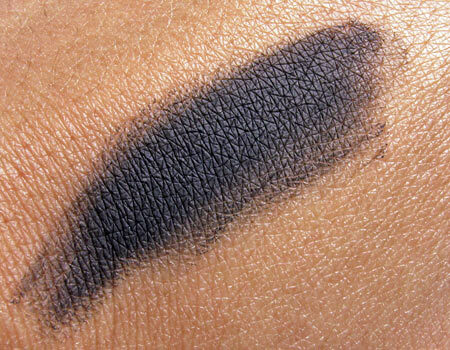 I love blacktrack, but it never occurred to me to use it as an eyeshadow base! I`m still trying to figure out the smoky eye, so I will definitely try your tip! 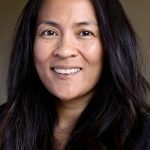 .-= Angela’s last blog post… quo "renaissance flare" reconnaissance mission! =-. This was my first cream liner. I like that it’s easy to use but I wish it were blacker. I’ll admit I’m a bit late, but I had to comment when I saw this. I LOVE Blacktrack! I’m very young and very fair, so I can’t wear super dramatic eyes very often, but whenever I do, I reach for it. 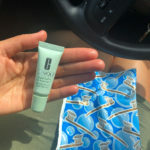 I even use it for shows–I’m hair and makeup crew for a musical, and one of the female leads has super sensitive skin. She had a reaction to the cheapo drugstore liquid liner, so I pulled out my blacktrack to do her ridiculously corny eyes and it stayed all day.